This tour of the EXPO floor will include the exhibitors: Kompan, Landscape Structures, PlayCore, and Vortex. When designing a playground there are several key factors that need to be considered. We will go through best practices on how to design a play space that enriches the experience of the users, enhances the environment, and has high quality and capacity. As a playground specifier you spend significant time and resources creating innovative designs and concepts. Large destination playgrounds can command significant cost to the public. How do you know your creative ideas will meet your expectations and those of your customer? How do you know the aesthetic will harmonize with the site and surroundings? 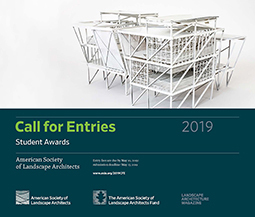 Come visit the Landscape Structures booth to discover the power of Augmented Reality to visualize creative playground designs in real life settings. Experience a 3-D model of a destination playground in the virtual world. This mobile app will allow your project teams to immerse themselves and their clients in their forthcoming play environment. PlayCore’s Center for Outreach, Research, & Education (CORE) is unique. 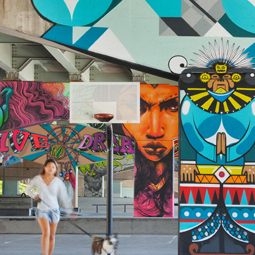 Our goal is to be a trusted resource to help you design research-based play and recreation spaces that drive positive outcomes across communities. Through our vast network of scholars, we invest in and advance our scientific understanding of play and recreation in order to expand resources and educational services. Our team supports validated research, builds capacity for high quality learning, and helps disseminate current, relevant knowledge through published resources, professional development, and advocacy services. By utilizing research findings, we provide a robust library of resources, and products, to help implement best practices for planning and design, curriculum and programing, advocating, and community impact initiatives. Water is timeless…it has a universal appeal…it transcends cultures, generations, and age groups. It brings an endless supply of sensations, thrills, and excitement. Water draws people in and brings people together. And yet when we think of the word ‘play’ even here at this conference our minds don’t first associate that with water; we might think of sports or playgrounds or games we play at home or in schools. But we underestimate the importance, fun, and benefits of water play. 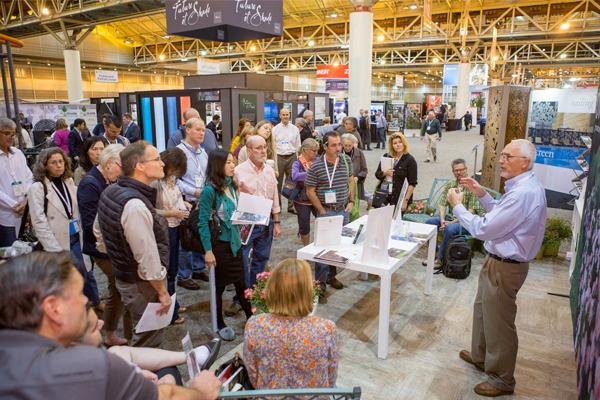 This tour of the EXPO floor will include the exhibitors: Brown Jordan Outdoor Kitchens, Indiana Limestone Company, Slot Drain Systems, and Unilock. Brown Jordan Outdoor Kitchens will explain the possibilities of designing and building outdoor kitchens using modular stainless steel cabinetry. It covers design, as well as incorporating the appropriate appliances and components based on function and performance, budget, space, materials, and client needs. Indiana Limestone is a versatile and beautiful material. Traditionally used for cladding some of the best known structures throughout our Nation’s history, it is also available for specification in premium landscaping & hardscaping applications. With advancements in manufacturing, natural stone is also more attainable than ever for a broader cross-section of projects at varying price-points. In this course, we will explore: the advantages of natural stone in landscape and hardscape applications, how specifying Indiana Limestone can contribute to LEED or green objectives, and how broader ranges of available standard products can meet a wide range of project application needs with off-the-shelf solutions. This presentation will review different drain options for various landscaping applications. The presentation will discuss the concrete pavers used for residential projects. Included will be a discussion about the recycled materials used in the product, durability of the chosen texture, the multiple pavement sections implemented, and the structural component of the laying pattern and paver shape used. 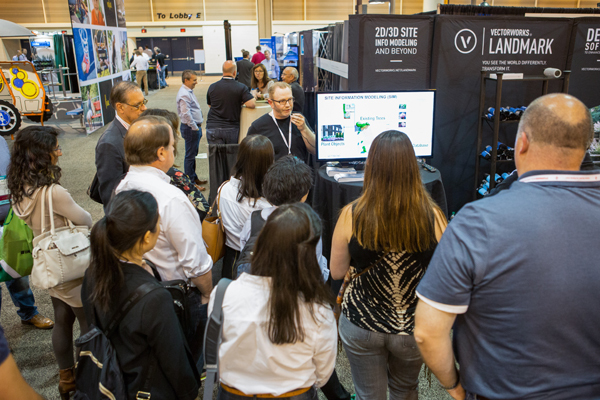 This tour of the EXPO floor will include the exhibitors: ANOVA, Hunter/FX Luminaire, Land F/X, and Vectorworks, Inc. The presentation will demonstrate the role of digital technology in visualization of projects with furnishings. It will start with the design challenges posed to us by the prospect and briefly discuss how technology can help overcome those challenges. We will highlight the use of technology in this process and how we believe our application of digital design tools at the scale of furniture differs from the application of similar design tools at the landscape scale. We will also spend time focusing on how 3D animation helped bring our solution to life and deepen our prospects appreciation of it. Lighting: This presentation will explore the latest technological advances in outdoor LED lighting that enable Landscape Architects to create fully customizable Wi-Fi controlled lighting zones and programs for every site to maximize aesthetics, energy efficiency, and safety. Irrigation: Landscape Architects are stewards of the environment and the communities in which they live work and play. As stewards, Hunter Industries encourages you to explore the aspects of social responsibility, the importance of finding a balance between priorities, and the significance of partnering with likes minded organizations to promote long-lasting landscapes for generations to come. Landscape architectural add-ons for AutoCAD, Revit, SketchUp, and Rhino can add a massive library of content, tools for placing and labeling, and scheduling and presentation capability. Building design professionals are increasingly trying to maximize Building Information Modeling (BIM) in their projects and asking Landscape Architects to use the same applications. This session will shorten the learning curve surrounding basic principles of BIM and describe how current technology enables Landscape Architects to use open BIM workflows that allow collaboration with clients. The benefits and challenges of integrating BIM modeling software will be explained, easing your trepidation about BIM workflows, and you will explore opportunities of BIM technology development as it relates to Landscape Architecture. This tour of the EXPO floor will include the exhibitors: BLM Plant Conservation Program, ECOConcrete Tech LTD, LiveRoof, and Mycorrhizal Applications, Inc.
Invasive species, altered wildfire regimes, and extreme weather events such as flooding, hurricanes, and drought are negatively affecting our native plant communities and the many species that depend upon them. Our ability to repair these damaged landscapes and build resilient native plant communities depends upon genetically appropriate native seed. The National Seed Strategy was developed in 2015 by the Plant Conservation Alliance, a public/private partnership of 12 federal government agencies and over 350 non-federal partners. The Strategy provides a plan for restoration of public and private lands at all scales and a coordinated approach for federal, tribal, state, and private entities, to develop and deliver locally adapted plant materials for restoring resilient native plant communities and sustainable ecosystems across the American landscape. With over 60% of the human population concentrated around coastlines experiencing threats of sea level rise and increased storminess, accelerated coastal development replacing rich coastal habitats with unproductive hardened coastlines is inevitable. To date, most coastal infrastructure was built according to structural and economic considerations, neglecting environmental aspects. 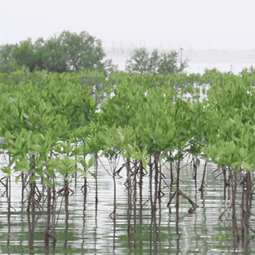 Recently, efforts are being made to integrate principles of ecological engineering in coastal projects promoting biodiversity and productivity. 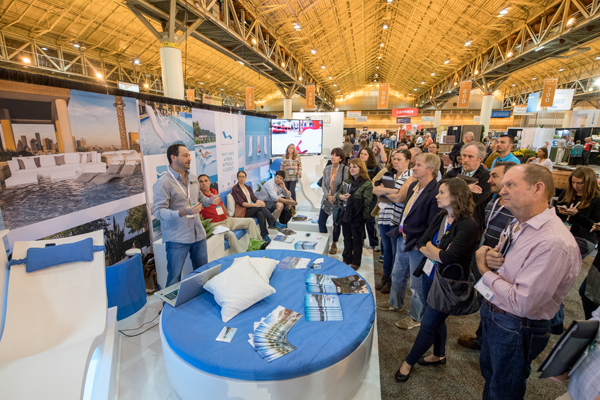 ECOncrete’s exhibit uses real case studies and a 6.5’ coastline model to expose landscape architects, engineers, scientists, and policy makers to a holistic approach of urban waterfront design that integrates ecological, structural, and social considerations. We present an innovative suite of concrete-based designs that increase the ecological value of structures like seawalls, piers, and beach stabilization measures while decreasing their ecological footprint. Our technology relies on slight modifications to concrete composition, texture, and design that enhances biological process and facilitates bioprotection. 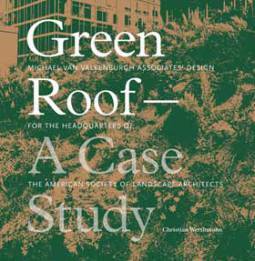 Green roofs play a vital role in restoring lost habitat and stormwater management to the built environment. This presentation will discuss applications and benefits of green roof and living wall systems. At Mycorrhizal Applications, we harness the power and wisdom of natural systems to promote living soils and increase quality, productivity, and health in all industries involving soils, plants, and people. This presentation will provide Landscape Architects and Designers with a quick introduction to the amazing and fascinating world of symbiotic mycorrhizal fungi, and explain how these beneficial organisms can help build and maintain sustainable landscapes and urban green areas. Mycorrhizal fungi can enhance transplant success by expanding plants’ effective root mass and rooting area, and aiding in water acquisition and nutrient efficiency. Once this symbiosis is established within a plant’s root system, the mycorrhizal hyphae expand beyond the nutrient depletion zone and acquire and actively deliver water and hard-to-access nutrients directly to the plant’s vascular system, reducing the need for inputs such as water and fertilizer, and enhancing the plant’s ability to thrive, even when faced with environmental stressors. This tour of the EXPO floor will include the exhibitors: ACO Polymer Products, Inc., Artistic Pavers, Iron Age Designs, and Victor Stanley. The purpose of this short presentation is to focus on man-made products within urban design areas and how they impact the aesthetics of the urban landscape within major cities. The man-made subject of focus is drainage grates types and the selection factors of these grates we have to consider such as hydraulic efficiency, debris handling, characteristics and aesthetics, pedestrian and bicycle friendliness, and loading conditions. We will look at how these individual factors influence our choices and selection of grate styles within urban areas that do not have the ability to utilize natural resources or landscape areas due to heavily urbanized or hard standing spaces where natural drainage methods cannot be achieved. Urban areas tend to have many more factors to consider when looking at a particular drainage grate for a project that maybe some more remote areas or smaller projects does not have, such as pedestrian and bicycle friendly and sometimes aesthetics and loading conditions that are not a factor within less urban projects. This presentation will discuss why the solar reflective index is an important part of pavers and color considerations for pavers. This is an abbreviated version of our full presentation on the use of decorative metals in the hardscape. The course covers materials, finishes, methods of manufacture, best practices, the use of technology to create custom design, and other topics. We will discuss the emergence of Smart Cities and how site furnishings play a role. 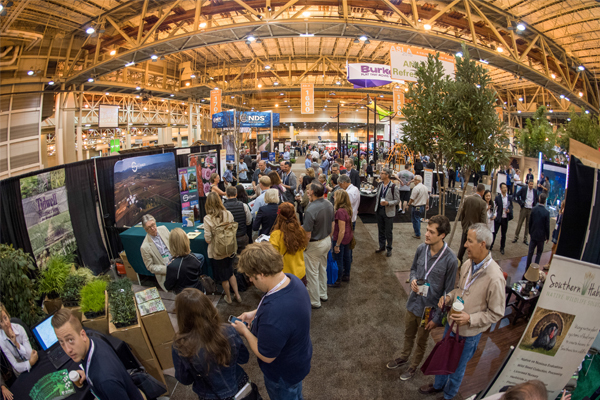 This tour of the EXPO floor will include the exhibitors: Eco-Rain Tank Systems of America, Inc., Rain Bird Corporation, Star Roses and Plants, and Weathermatic. Eco-Rain Tanks are underground modular products certified by the International Code Council (ICC), an independent organization, to meet industry standards. They are designed to accept and hold rain and runoff water for infiltration into the substrate, detention for controlled release, bioswales, or water reuse as a cistern. Tanks have a 97% void space for water storage. Certified for AASHTO H-25 loading in traffic areas, Eco-Rain Tank basins are used under parking lots, and landscaped areas. Tanks can be designed to fit in square, rectangular, tiered, or odd shapes. Learn how rotary nozzles can provide water efficiency and design flexibility achieving matched precipitation rates at any arc and radius between 8-24 feet. Choosing the right nozzle can result in distribution uniformity while at the same time delivering a low precipitation rate to significantly reduce runoff and erosion. Explore nozzle spray pattern and distance adjustments so water stays in the target zone without misting or fogging. Well-designed nozzles can save your customers water and save you time with an easier design solution! Overview of California friendly, and drought tolerant, shrub species for dry climates. Star Roses and Plants, known for Knock Out and Drift Roses, is working with UCDavis on plants that perform to WUCOLS database standards. With all the sustainable design and innovative irrigation technology available, why do we as an industry continue to struggle with saving water? The failure of a landscape to save water is a direct result of not accounting for the 6 factors which impact irrigation system efficiency. This session will address the roadblocks to efficient irrigation as well as the essential ingredients necessary to ensure a truly sustainable design. 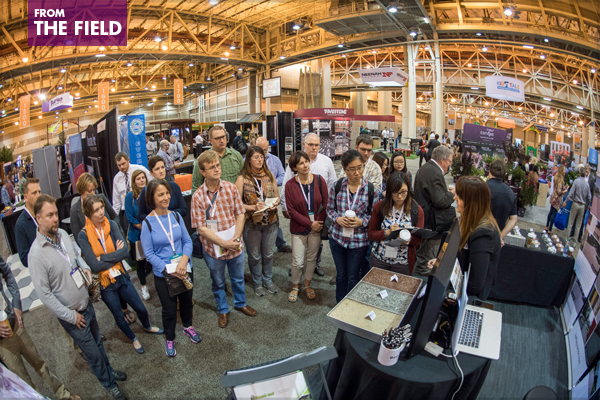 This tour of the EXPO floor will include the exhibitors: Coldspring, DeepRoot, J. Frank Schmidt & Son Co. / Northwest Shade Trees, and Vectorworks, Inc. This course highlights how the Dimension Stone Sustainability Standard (ANSI/NSC 373) can assist projects with sustainability goals. The standard examines and verifies through a third party, numerous areas of stone production such as: water usage, custody and transportation, site and plant management, land reclamation, corporate governance, energy, waste, chemicals, worker health and safety innovation credits. It also includes a companion Chain of Custody (COC) program, which ensures traceability of certified stone from the quarry to processing and throughout the supply chain and ultimately to their journeys end. DeepRoot will present the most current thinking and practice of combining soil+trees+stormwater under suspended paving for a successful and sustainable urban landscape. Over the last ten years DeepRoot has helped to design and install over 1,200 suspended paving installations and will provide industry leading knowledge and experience regarding soil types, installation challenges and opportunities and how to integrate stormwater management into suspended paving systems. Green Infrastructure is a critical path for the Landscape Architecture community and this talk with provide attendees with the basics to implement sustainable landscapes in the urban environment. Sustainable landscape design begins at the nursery, from the moment the seed is sown, the cutting stuck, or the scion grafted. Forward-thinking nurseries around the world are striving to grow plants in a more efficient, sustainable and earth-friendly manner. For example, our best management practices include sustainable growing systems that reduce inputs of water, fertilizer, herbicides, electricity and labor. These practices help to produce healthier, more resilient trees that begin their life in the landscape with a smaller carbon footprint. By visiting nurseries and learning about their production practices, designers can learn to recognize and choose sustainably grown trees. It is essential during the sustainable design process to choose appropriate tree species and cultivars that will grow and thrive on the site. Native? Introduced? Hybrids? Cultivars? Seedlings? 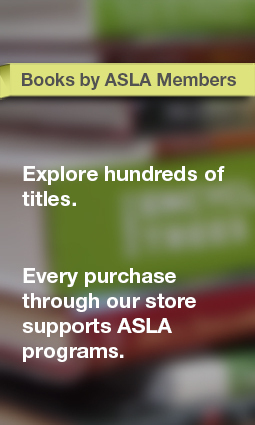 Each has its benefits and shortcomings, and their selection and use should be site-driven. This presentation will demonstrate some ways in which building information modeling (BIM) tools can be adapted to the practice of landscape architecture resulting in what is known as site information modeling. Using case studies of built projects, the presenter will show how these tools are employed for site planning and detailed project design development, representing more comprehensive, innovative, and intelligent design workflows that help design professionals make appropriate design decisions early in the process, through design development, and into credit documentation. Often improved landscape performance can be achieved when designing with built-in smart object tools. Whether it be for meeting a jurisdictional design code, or designing with meeting sustainable and energy efficient site design guideline objectives, augmenting existing workflows rather than changing processes, means that the site designer can more efficiently confirm the design meets these guidelines, or make the necessary changes until it does, during design development stages. This tour of the EXPO floor will include the exhibitors: DuMor, Inc., ForeverLawn, Inc., HessAmerica, and Kafka Granite LLC. Our presentation will concentrate on how manufacturing methods and materials affect the longevity of an outdoor furnishing. By breaking down the construction methods of most outdoor furnishings you empower a consumer to assess the quality through visual inspection, with industry tools, or by asking a few questions to the manufacturer. We will also emphasize the benefits and downfalls of materials in different environments (e.g. aluminum for coastal regions). The presentation will also touch on coating methods, environmental impact, product modifications, and maintenance. Artificial grass is best known for its use on sport fields. However, today’s turf products can beautify, provide additional functionality, and save money. It is important to understand how materials, installation practices, and even maintenance have evolved and segmented to address the specific wants and needs for use with dogs, playgrounds, high end landscaping, and more. LED Lighting for Parks and Recreation: The presentation will look at the current state of LED technology and compare the benefits of LED lighting over traditional light sources. Topics include an overview of longevity, efficacy, energy efficiency, and options for lighting control as a means to further increase energy savings. 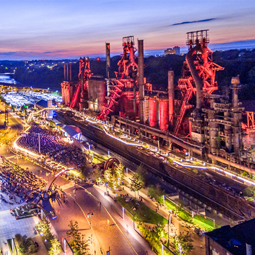 The presentation will include a discussion of color rendering index (CRI) and color temperature to give designers insight into how to positively influence physiological aspects of outdoor lighting systems for parks and recreation projects. The tour concludes with an overview of luminaire types and how they are applied within the context of outdoor parks and recreational facilities. 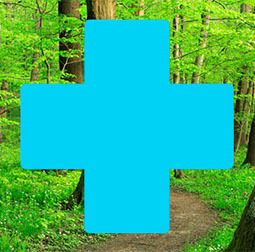 When it comes to selecting pathway materials for trails, walkways, bike paths, and more, there are plenty of options for buyers to consider. Concrete, asphalt, brick, and pavers are among the most common materials to use for hardscaping projects. Many of these applications are effective, but some can take a beating and chip and crack over time. Other applications require regular maintenance or may not be friendly to the environment. As a landscape architect, what is the best choice you can make for your project that’s better for the environment without sacrificing quality? The answer might be found in decomposed granite. Decomposed granite is an ideal material for firm pathways where a natural look and feel is preferred. It’s where hardscape meets softscape: a durable surface with natural qualities. It’s affordable, environmentally friendly, and an aesthetically pleasing alternative to traditional hardscape materials. 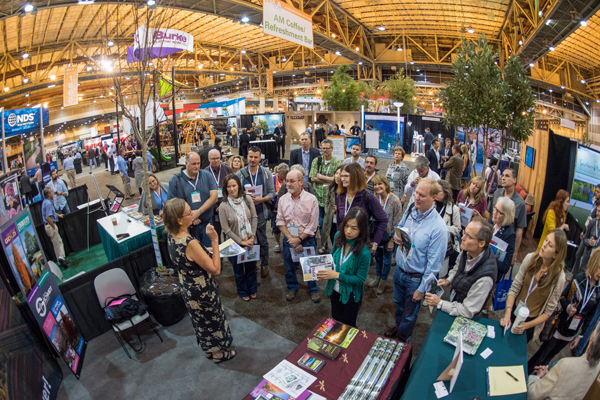 This tour of the EXPO floor will include the exhibitors: BrightView, Citygreen Systems, Proven Winners® ColorChoice®, and J. Frank Schmidt & Son Co. / Northwest Shade Trees. Trees grown in containers often exhibit inferior root structure. Learn more about root structure and corrective actions to take in the field at the time of installation. This presentation will look at issues faced by urban designers seeking to make cities more livable, with some solutions to these issues, and applications. 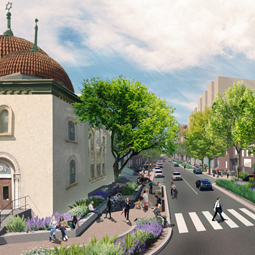 We will discuss the design and engineering of structural vaults for healthy tree canopies and shading within parking lots, waterfronts, road verges, and other locations. Attendees will learn how they are installed, the various applications, and how to incorporate water harvesting principles for stormwater management and pollutant removal. We will also describe interesting recent treepit projects, and collaborative trials. Hydrangea boot camp: hydrangeas generate more questions than any other genera. Learn which species, including native hydrangea, are the best choice for common landscape situations and how to get the flowers your clients expect. Hint: soil matters, but so does species. J. Frank Schmidt & Son Co. is a propagator of shade, flowering and ornamental landscape trees that grows a diverse mix of more than 500 tree species and cultivars. For more than 40 of 71 years in business, the company has concentrated on selecting, testing and introducing new and improved tree cultivars tailored for superior performance in urban settings. In collaboration with a network of universities, arboreta, horticulturists and plant scientists, promising new introductions (developed at JFS and elsewhere) are trialed for regional suitability at more than 30 sites across the continent. A top priority of the Schmidt R&D program is to select climate-resilient trees that are adaptable to varied growing conditions. Extremes of heat and cold, urban soils ranging from arid to waterlogged and acid to alkaline, insects and diseases are among the challenges that face today’s urban trees. Northwest Shade Trees offers over 300 different cultivars of B&B shade trees ranging from 2” to 5.5” caliper. For 45 years, the NWST production team has been continuously refining its production methods to produce trees of highest quality. Today’s nationwide shortage of trees in the market creates interesting challenges for growers and designers alike. This presentation will help you better understand the current situation and offer insights and tips to help you source the best plant material. 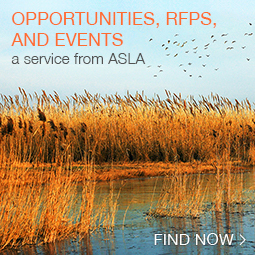 For more information, visit the ASLA Annual Meeting and EXPO website. See you in Los Angeles!